Chinese investors snapped up around $100 billion worth of property around the world in 2016. While most countries normally like to encourage this kind of investment, some are saying they need to put some checks on the strength of foreign investor’s purchasing power in order to prevent real estate bubbles, the Wall Street Journal reports. Back in 2010, Chinese buyers purchased just $5 billion worth of international property, the Journal noted. However, rising prices for both commercial and residential real estate in cities such as Sydney, Toronto and Vancouver are helping to spark a frenzy among buyers. Officials from Australia and Canada told the Journal they’re growing increasingly concerned about the rising level of foreign investment, saying it could lead to price bubbles that threaten regional economies. In Vancouver, officials say home prices grew at a rate of 30 percent per month compared to the year before. In order to stem that growth, the city imposed a 15 percent tax on foreign buyers, increasing this to 20 percent last February. In turn that pushed more buyers to Toronto, which responded by introducing its own 15 percent tax on foreign buyers in April 2017. Meanwhile in British Columbia, officials introduced measures aimed at deterring the resale of condominiums before construction has been completed, and also discouraging the flipping of condos that are yet to be occupied. Victoria, the capital city of British Columbia, has seen exceptionally high demand from Chinese buyers, witnessing a 29 percent spike in sales of one-million-dollar plus homes. According to Christie’s International Real Estate, Victoria was the world’s hottest new housing market in 2017, with the price of single-family homes there soaring to $570,000. “Victoria is experiencing the same rapid growth in housing prices and sales volumes that have strengthened Toronto and Vancouver in recent years,” according to the Christie’s International survey. “If Toronto and Vancouver can be a measure, it is likely Victoria will continue to perform well despite [new] regulations” that target foreign buyers. 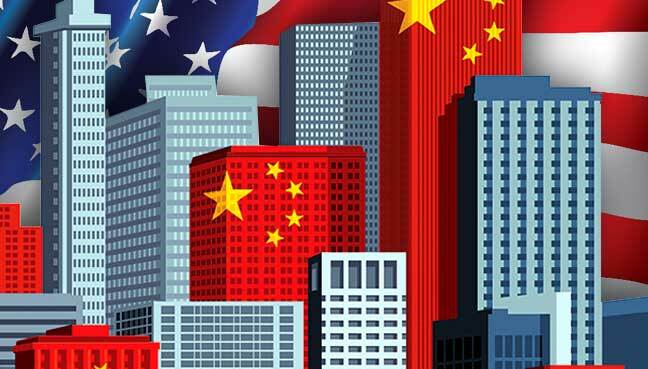 In the U.S., Chinese investors also make up the biggest segment of foreign buyers. They spent a whopping $31.7 billion on residential homes in the U.S. between April 2016 and March 2017, according to data from the National Association of Realtors. Chinese investors also dominate foreign investment in Australia’s residential sector, buying around one third of that nation’s available plots, worth some $1.5 billion, in the last year. Jon Ellis, chief executive officer at Investorist, told the Journal that Chinese buyers are an “unstoppable juggernaut”. Over in China, the Beijing government has introduced its own measures aimed at preventing capital from leaving the country. New rules state that Chinese citizens can only exchange local currency worth a maximum of $50,000 per year, but loopholes still exist that allow many investors to get around these limits.